After Wood’s death in February 1916, the house was occupied by his wife and daughter who gradually became recluses. 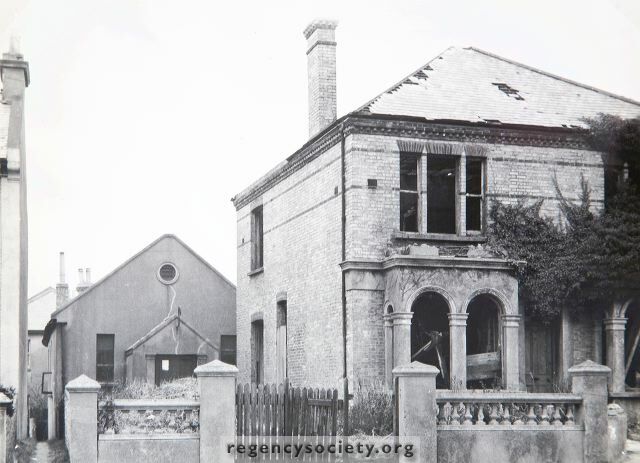 The house became more and more dilapidated and had the appearance of being unoccupied before it became completely derelict in 1940. Portslade U.D.C. had the corner rounded off in 1954 and later applied for a compulsory purchase order so as to demolish the old house and replace it with modern flats.